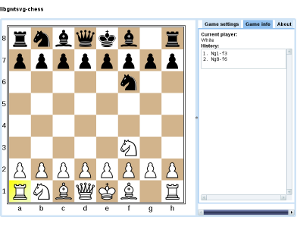 Lukas Laag has written me about his new GUI for the Carballo Chess Engine using the Google Web Toolkit (GWT) and his SVG Graphics Library for GWT, libgwtsvg. He also wrote an article explaining the difficulties of his project. Thanks Lukas for your work.